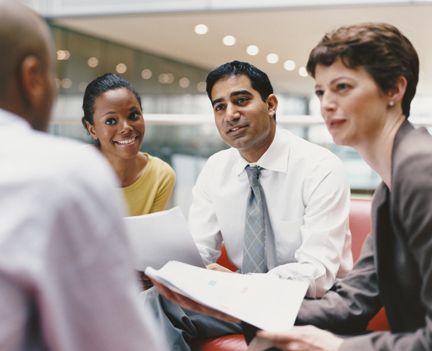 How Does Knowledge Management Complement Quality? Arun Hariharan is a quality, knowledge management, and performance management practitioner. He has worked with several large companies and is the founder and CEO of The CPi Coach (cpicoach.webs.com). His latest book, The Strategic Knowledge Management Handbook, provides “hands on” advice for implementing Knowledge Management (KM) – not merely with technology, but with the more challenging leadership, strategic, and culture / behavior aspects of KM. The primary purpose of this book is to enable the reader to implement a strategic KM program in an organization and derive business results. This book is particularly addressed to CEOs and senior management to help them understand how they can use KM as a strategic tool to achieve their business objectives. 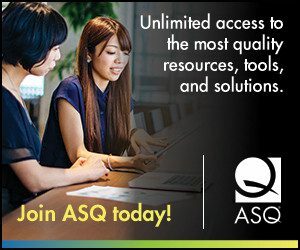 Purchase The Strategic Knowledge Management Handbook from ASQ. Arun spoke with ASQ about Knowledge Management, how it can be used effectively, and best practices. What is Knowledge Management (KM)? KM is an enabler to achieve an organization’s objectives better and faster through an integrated set of initiatives, systems and behavioral interventions – aimed at promoting smooth flow and sharing of knowledge relevant to the organization, and elimination of re-invention. KM seeks to facilitate the flow of knowledge from where it resides, to where it is required (that is, where it can be applied or used), for achieving the organization’s objectives. In your experience, what are the challenges that prevent some organizations from achieving results from Knowledge Management? How can these challenges be avoided or overcome? The root of the challenge is that some organizations and their leaders seem to think that KM is all about technology. Examples abound of companies that have sunk truckloads of money in KM technology such as portals and collaboration tools, but did not get the results that they expected. In my experience, there are four groups of factors, which I call the four pillars of KM, which will determine whether you get substantial and sustained results from your program. These are – in order of importance – (1) Leadership, people, and culture; (2) Keeping KM relevant to your business; (3) Measurement of KM (you need to measure both the enablers and results); and (4) Standardized KM processes and technology. Your KM program will give you sustained results only if all four pillars are in place. Does KM, with its emphasis on knowledge storing and reuse, kill innovation? No, it doesn’t – KM only kills re-invention. And re-invention is not the same as innovation. If a particular type of work has been done by someone somewhere in the organization (or, ideally, even outside), another person re-inventing it or trying to get results through trial and error methods is not being innovative, but merely wasting their own and the company’s time and resources. KM seeks to actively promote innovation by encouraging sharing of new ideas and at the same time eliminating re-invention. In fact, KM, by ensuring that your existing organizational knowledge is available in an organized fashion, facilitates further knowledge creation (in other words, innovation). Our experience shows that every time existing knowledge from the organizational knowledge-base is reused, some new knowledge is created in the process of applying or customizing the existing knowledge to the present situation. Some companies that I work with also have KM initiatives such as IdeaExpress (a scheme for generating innovative ideas from employees), which are nothing but innovation factories. Can quality and KM complement each other? Absolutely. While Knowledge Management and quality are distinct disciplines, my experience working with both taught me that there are several ways in which the two can complement each other. Companies that have both a KM program and a quality program have the unique opportunity to get them get in tune with one another. How KM can help quality: In several companies that I worked with, the KM program frequently helped us to identify potential quality-improvement projects. For example, some of our high-impact Lean Six Sigma projects were identified as a result of our KM program bringing in relevant knowledge in the form of competitor benchmarking information. Some of our best quality-improvement projects started as employee-ideas from our structured idea-generation initiative, a part of the KM program. Also, successful quality-improvement projects were often done as pilot-projects in one part of the company. Once successful, these projects could be quickly replicated across the company through the best-practice sharing process that is in place thanks to the KM program. How quality can help KM: On the other hand, we were able to quickly institutionalize best practices identified through the KM program by making them part of standardized business processes. This was possible because the company’s quality program ensured that it had a strong foundation of standardized processes, subject to continuous improvement. Secondly, the quality program ensured that critical business processes are clearly identified and mapped, making it easy to prioritize and focus KM efforts on these processes. In companies where we implemented lean management, I added “re-invention of the wheel” to the list of different types of waste that lean commonly talks about. And, clearly, re-invention is one of the evils that KM seeks to eliminate. In several companies, KM and quality are both important components of the business excellence program, and they complement each other beautifully. The synergy between KM and quality is also borne out by the fact that, several years ago, well known excellence models such as Baldrige and EFQM added KM-related criteria. The revised ISO 9001:2015 also emphasizes the importance of KM in a new clause. Is KM primarily about technology, or is there a strategic and/or culture aspect to it? On the other hand, a technology-only approach to KM is a narrow view that treats the implementation of some form of technology (usually an intranet / portal with features of document management, storage and collaboration) as the be-all-and-end-all of KM. In such an approach, KM is not linked to organizational priorities or employees’ performance. Not surprisingly, organizations that take the technology-only view end up getting hardly any results from KM. What is the use of the best technology if we have an organizational culture where people are reluctant to share their knowledge with others, or unwilling to “copy” even proven best practices? Author adminPosted on September 9, 2015 Categories innovation, Knowledge Management, leadership, Management, Quality, UncategorizedTags arun hariharan, innovation, Knowledge Management, leadership6 Comments on How Does Knowledge Management Complement Quality?